Yesterday evening, our bank invited us to a presentation by one of their insurance consultants–and that caused me to run into something I have never experienced before in more than a decade of presenting and teaching people how to present! What I encountered was a thin smile. The presenter had this thin smile plastered on his face right from the start to the end of his presentation, and that lasted for a good hour and half. Fortunately, I had my iPad with me–so I used it to good advantage to pencil all my thoughts immediately! 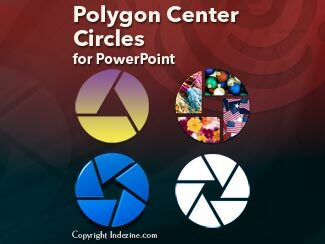 You can use these Polygon Center Circles in any slide that needs to show 3, 4, 5, or 6 segments. 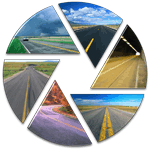 Suitable themes for such multiple segments include Unity, Continuity, Synchronization, etc. Remember that the individual segments within the entire graphic Buy Now are all native PowerPoint shapes that are individually selectable. They break the monotony of text heavy slides, and help you explain concepts better to your audiences. What's more, these shapes are also so much fun to use! When I took the decision to join a speakers club 12 years ago I didn’t realize the positive changes that would follow. I had no idea that it would lead me to doing a doctorate and that this in turn would lead to me making lasting changes in my life. I became of member of a Toastmasters speakers club to get over my fear of giving presentations to the project teams I was leading. It worked! Learn more with Jean Gamester. 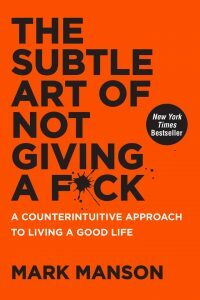 Everything in the book uses the same direct, conversational style that Mark uses for the book title, and that’s good because it’s all useful information, put across in as few words as possible. Mark doesn’t mince words when he provides advice, but he does use examples, analogies, and stories–and there he uses more words to convince you further. PowerPoint add-ins help in adding new capabilities that can polish your presentation in many ways. But when the time comes to uninstall these add-ins for whatsoever reason, you might be surprised to find their menu customizations, such as buttons that represent add-in features still exist! Click those menu extensions and nothing may happen, but these menu options are still there! In another scenario, you may have customized your PowerPoint menus and toolbars to a large extent. Now, you want to restore everything to a pristine state, almost like how the interface looked when you first installed PowerPoint. In either case, it is possible to lose all these customizations. The key to this solution lies in PCB files. Microsoft Office 2013 for Windows was released on October 11, 2012. It is the successor of the previous version, Office 2010, and among the most used programs across the globe. However, after using the Office 2013 programs such as PowerPoint, Word, and Excel repeatedly, there may be times when these applications face some serious issues such as crashes, corrupted files, etc. And in some scenarios, you may not be able to run any Office 2013 application. At this point in time, you may wish to perform some magical process that will resolve the issue. When you insert shapes on a PowerPoint slide, you will notice that all shapes you insert contain the same fill. Most of the time, the shapes may contain a solid color fill. Similarly, you may insert hundreds of shapes and they all have this same default fill. Have you ever wanted to change this fill to something else? You can change the fill of any shape to a solid color fill, or even change the fill type altogether to a pattern, texture, or picture. This newsletter provides more info on better PowerPoint usage and presentation design.